The times, they are a changin’. Ebooks technology doesn’t just replace paper with pixels; it creates new opportunities for publishing books that would be cost-prohibitive if published traditionally. The capital and labor costs for publishing ebooks range from small to miniscule, and distribution channels, such as Amazon.com, BN.com, and sites like Smashwords.com, are readily available. It’s no surprise, then, that specialty publishers are springing up to take advantage of this new economic model. I asked C.M. Mayo about Dancing Chiva and her future projects in all types of publishing. JRB: What led you to start this new venture? C.M. Mayo: I love making books. I love writing them more than I like making them, which is why, though it occurred to me many times, I did not start my own publishing firm. (About a decade ago, I did found a literary journal, Tameme, and from that, took some tough lessons in how much work it really is to edit, produce, distribute, and market a publication.) So why now? Because with the digital revolution, transaction costs have so fallen that everything changes. I own the ebook rights to not all but several of my own books, and I don’t see that publishers are doing enough for me to make it worth my while to turn them over in exchange for some puny percentage. But more interestingly, in doing the research for Miraculous Air, my travel memoir of Baja California, and later, The Last Prince of the Mexican Empire, a novel about Mexico’s Second Empire, I came across several books and other shorter works that deserve to be published/republished and yet do not, under the old publishing modelpaper printing, distributor, bricks-and-mortar bookstoreshave the potential to cover their costs. Some of these are so old that copyright has expired, so for me, the cost of publishing is little more than formatting and uploading. Of course, I’ll add an introduction, images, and some other goodies. They will be scrumptious little books. In sum, though traditional bookstores and publishers are certainly not dead, they are not playing the overshadowing role that they did. For the kind of publishing I want to doebooks and very small runs of signed editions (marbled paper, etc)I don’t need to pay for freight and a warehouse. I don’t need Ingram or Baker & Taylor. I don’t need bookstores. What I needand indeed haveis a website and a permission mailing lista base of customers who have provided their e-mail because they want to receive my newsletters with their announcements, special offers, and more. People can sign up here. JRB: Ebook sales are rising dramatically in the U.S. Are ebooks becoming more popular in Mexico, too? C.M. Mayo: No, but they will. I’ve been living in Mexico City for more than 20 years and what I’ve seen is that with so many things, from women in the workplace to using Facebook and Twitter, urban Mexico follows the U.S. but with a lag of a few years. That’s speeding up now: for example, already you can find many leading Mexican writers on Facebook and Twitter. Once ebooks get a good toe hold in the major citiesMexico City, Guadalajara, Monterrey, Puebla, Querétaro, Merida, etc.I think things in the book business will change faster than you can whack a piñata. Further, already many English language readers living in Mexico are wedded to their Kindles. JRB: I see that you support Kindle. Are you planning on supporting other ebook formats as well, such as EPUB, which can be read on NOOK and Adobe Readers? C.M. Mayo: Dancing Chiva will offer ebooks in all major formats. JRB: Do you plan to continue publishing English books in paper through traditional publishers? C.M. Mayo: Yes, because with their expertise and scale, they can do things I do not aim to do with Dancing Chiva. As I said, much as I love making books, I prefer writing them; for this reason, Dancing Chiva is intentionally small scale at the level of administration and marketing. And I have to say, I have been very happy with my publishers, Whereabouts Press, Unbridled Books and, in Mexico, Grijalbo Random House Mondadori, especially. They certainly know how to get the books in the bookstores. JRB: One of the forthcoming ebooks mentioned on your site is “My Memories of Maximilian.” Who was Marie de la Fère, and what is her memoir about? C.M. Mayo: The historian Robert Ryal Miller mentioned this rare manuscript, a circa 1910 English language handwritten eyewitness memoir of Maximilian, in a letter to me some years ago. He had found it at the Bancroft Library, University of California, Berkeley, and was preparing an edited and annotated version for publication. Alas, Miller died in 2004 without, as far as I know, having published it. I have not seen what Miller wrote, I am sad to say, for I understand he had identified the author who was using, as I too, immediately suspected, a nom de plume. When I visited the Bancroft as part of my own research for my novel, The Last Prince of the Mexican Empire, I dutifully looked up this manuscript. I was glad I did, for, among so many other things, it gave me insight into the strong feelings of the monarchists and Maximilian’s character. After Miller’s death, as I felt this memoir deserved more readers than we intrepid few who have eyes for microfiches, I wrote to the Bancroft for permission to reprint it. The Dancing Chiva ebook, which will include an introduction and more, will be available later this year. JRB: You describe your workshops as focusing on “nuts and bolts.” As a writer, do you find that most obstacles can be overcome through a practical approacha matter of applying the right technique? I wonder if you see young writers getting lost in more abstract ideas about inspiration and capital w Writing? C.M. Mayo: Most writers and would-be writers are plagued by anxiety, which makes perfect sense, for writing is a public act; it invites praise but also attack. (I don’t worry about attack; but that’s another subject.) Learning the techniques of fiction– a never-ending process– has two benefits. First, it improves the quality, vividness, and general readability of your writing; second, it armors your confidence and so allays anxiety. As for abstract ideas, that is the purview of the so-called English Department with which, as a working artist, I have little truck. Bless them, may they all get tenure! And one day include my works on their syllabi! JRB: What’s behind the name Dancing Chiva? C.M. Mayo: In the hallway into my office, I have an antique painting of a gypsy dancing with a little white goat. I was wondering what to call my company when I happened to glance at the little goatchiva (female goat in Spanish). It’s a play on Dancing Shiva, the representation of the cosmic dance of the Hindu god (no disrespect intended), and very apt, for, to me, making books is a kind of happy little dance. C.M. Mayo is a long-time resident of Mexico City and the author of several widely-lauded works on Mexico, including the novel The Last Prince of the Mexican Empire (Unbridled Books), which was selected as a Library Journal Best Book of 2009. 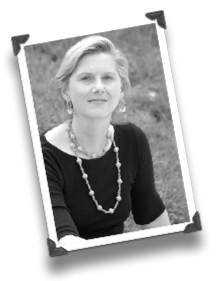 An avid translator, she has also edited the bilingual literary journal Tameme and Tameme chapbook series, as well as a collection of 24 contemporary Mexican literary works, Mexico: A Traveler’s Literary Companion (Whereabouts Press). Read more about C.M. 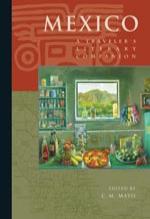 Mayo’s travel writing, fiction, literary translation, and many awards at www.cmmayo.com. This entry was posted in ebooks, interview, publishing and tagged C.M. Mayo, Dancing Chiva, ebooks, interview, Mexico, publishing on March 31, 2011 by John. The chair I am sitting in is a wooden folding contraption without arms. It seems sturdy enough to support me, but it wobbles and creaks the instant I shift my weight. Reading in this chair, one learns to float as comfortably as a truant schoolboy swinging in a tree; one feels the giddy glee of a skull rushing through the empyrean, awash in a mad swirl of colors and sensations: blue sky, green grass, this text, that reference, sudden abyss. Lost in the vertigo of reading, one intuits a secret communion with junior astronauts encountering weightlessness for the first time in jets that rise and plunge above the clouds. To release one’s hands from the wall’s metal braces requires both courage and carelessness; the instructions one has read over and over become a sting of meaningless symbols, themselves hovering, and then one realizes that one is hovering like themfrom this lapse of pedestrian cognition, a letting go, and a few seconds of weightlessness. Within days, one is floating freely about the cabin like a sated amphibian, pushing off from one wall and propelling oneself to the other, spinning, somersaulting, joking with one’s friends and slapping their backs as they passmerry tumblers in a void. Such is the feeling of freedom and weightlessness I get from my reading chair. I can pass the entire day in it, poring over texts and penning new criticism without ever occupying the same position twice. How earthbound, how single-track, this fiction-writing chair seems by comparison! It is fit only for country schoolteachers and librarians. Simple and plain, it will do for the instruction of grammar, for the locating of Grant’s Tomb on a colorful map, for a pious recitation of the Gettysburg Address, and then, in the calm of the evening hours, for the crafting a simple memoir replete with “true feelings.” Its one trick is to fold up and disappear. And this is my chair for now, my position in the world! This entry was posted in academia, creative writing and tagged Neil Cross on March 30, 2011 by John. Today we celebrate the feast of St. Patrick, the 5th century missionary who cleared the Emerald Isle of snakes and kept it clear until the hedge fund managers arrived in the 90’s. On this day, children across America are taught about shamrocks, leprechauns, rainbows, and the color green. In other words, they’re taught about nothing of any importance when it comes to Ireland, Irish culture, or the contributions of Irish-Americans. Which is a shame. I don’t so much mind all the attention that’s paid to leprechauns, so long as when it comes to discussing German culture, the teacher spends most of her time talking about poltergeists. But enough about figments. It’s St. Patrick’s Day, and it’s a fine occasion to savor deeper things. Guinness is fine, as is cranking “The Pogues” or “Flogging Molly” on your stereo, or getting together with your sensitive guitar-playing friend to croon Yeats’ “Sallie Gardens,” but if you’re interested in exploring other areas of Irish culture, here are a few suggestions. I’m a big fan of Irish fiddle music. 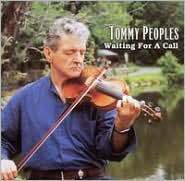 A couple of my favorite fiddlers are Tommy Peoples (try his album, Waiting for a Call) and Martin Hayes (try Martin Hayes/Dennis Cahill Live in Seattle). If you’d like to explore the history of Irish fiddle music further, track down a two-CD set called Michael Gorman: The Sligo Champion. Gorman was an important fiddler and composer, and you can hear some traditional fiddling and singing from the first half of the 20th century before non-traditional techniques like vibrato became so prevalent. Annie Dunne by Sebastian Barry is a haunting and lyrical book about an old woman living with her cousin in a cottage in the Irish countryside. Her children come to visit her. Has their father committed an unspeakable crime? Barry tells us, but he’s sly, and you might miss the clue if you don’t read carefully. I walk to the far counter and pick up the kettle, but when I go to fill it, the cuff of my coat catches on the running tap and the sleeve fills with water. I shake out my hand, and then my arm, and when the kittle is filled and plugged in I take off my coat, pulling the wet sleeve inside out and slapping it in the air. My mother looks at this strange scene, as if it reminds her of something. Then she starts forward to where her tablets are pooled in a saucer, on the near counter. She takes them, one after the other, with the flaccid absent-mindedness of the tongue. She lifts her chin and swallows them dry while I rub my wet arm with my hand, and then run my damp hand through my hair. What an admixture of senses: the daughter’s damp hand, the mother’s dry throat, the pills pooled in a saucer. Notice how Enright uses commas more to pace the action than to convey logical connections. She’s a musical writer. It’s a moving, beautifully written book. While you’re gazing in the mirror all the names change. Matter-of-fact congregation of crows comes tumbling. Finally, a suggestion for quenching your thirst, because if you’re reading by a fire, or in an overheated bus, or under heavy bedcovers, or in a dusty room, or a drafty hallway, or on a weekday evening after a long day’s work, or on your day off, you might get thirsty. Tonight all sorts of people are sampling Guinness or Jameson’s or Bushmills, and that’s fine. But my suggestion? A light, grassy Irish single malt called Knappogue Castle. I learned of it several years ago from a review Eric Asimov wrote of Irish single malts for the New York Times. If you enjoy single malts, but want to stay away from anything heavy or peaty, Knappogue Castle is an excellent choice. One more suggestion. If you’re looking for a good survey of Irish literature, check out Ireland: A Traveler’s Literary Companion from Whereabouts Press. It features short stories from all over Ireland. There’s also an introduction by the editor, James McElroy of UC Davis. 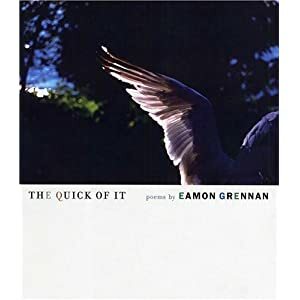 This entry was posted in birthdays and anniversaries and tagged Anne Enright, Eamon Grennan, Irish culture, Knappogue Castle, Sebastian Barry, St. Patrick's Day, Tommy Peoples on March 17, 2011 by John. He was an unreliable narrator. He started showing up late for chapters. Scenes would lurch into action without any preamble. Gorgeous or bleak scenery out the window went unremarked. Situations, histories, rivalries, marriages went unexplained. Other times he showed up right on time but he made little mistakes. He might repeat information, for example, gumming things up and slowing the pace. Or he changed the names of characters. The characters themselves didn’t seem to notice, greetings were exchanged as usual, plotlines flowed as expected, but now Lily was Lola, and two chapters later the Frenchman Pierre was an Englishman named Peter. Very late in the book, the unreliable narrator disappeared altogether. Where was this guy? Moonlighting? Working two books? Three? Seven? Hundreds? To answer that question would require a narrator for the narrator. “It’s turtles all the way down,” one of the characters remarked. The woman with the Ph.D. nodded and set down her drink. Damn, she wanted a smoke. She stared hard at Peter, or was it Pierre, and wondered if he had a cigarette. And he met her gazehow? We’ll never know. “I’ve been thinking about horses,” he said. This entry was posted in creative writing and tagged narration on March 1, 2011 by John.